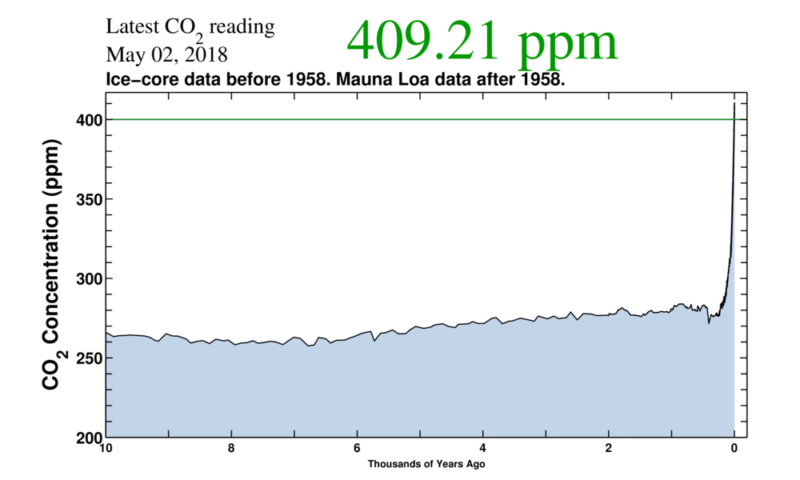 For the first time in human history, the monthly average concentration of carbon dioxide in the atmosphere has surpassed the threshold of 410 parts per million. That's the finding of the Scripps CO2 Program, which tracks carbon dioxide measurements in the Earth's atmosphere every 10 minutes. 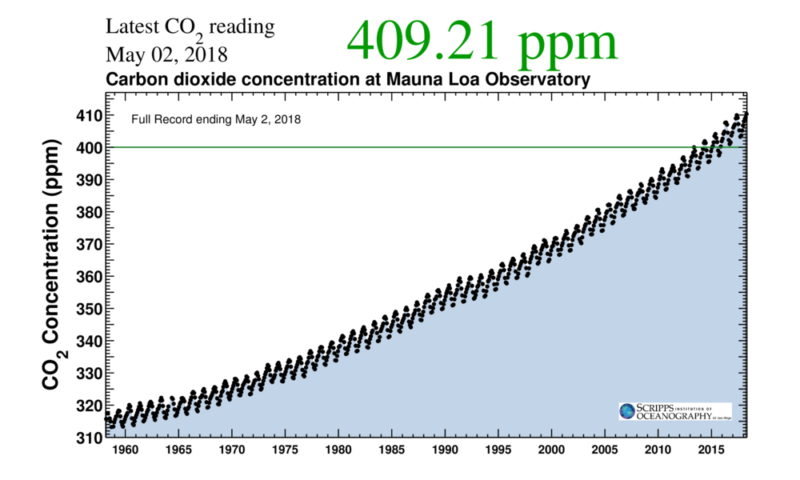 That data is then plotted onto the Keeling Curve, a graph that illustrates the rise in carbon dioxide levels. The information is based on continuous measurements taken at the Mauna Loa Observatory in Hawaii. The latest threshold was registered in April. The latest record shows that "humans are overwhelming nature" according to Ralph Keeling, a geophysicist and the head of the Scripps CO2 Program. "It's important to realize that we are headed towards pretty dangerous territory if we aren't already in it," says Keeling. "So something like 450-500 parts per billion places us in the danger zone. Things are changing already, so it's become a question of how hard will it be to cope with all these changes." Moreover, the rate has accelerated decade by decade, he says. "It's going up at about 2.5 parts per million per year. At that rate we will hit 450 in just 15 years. 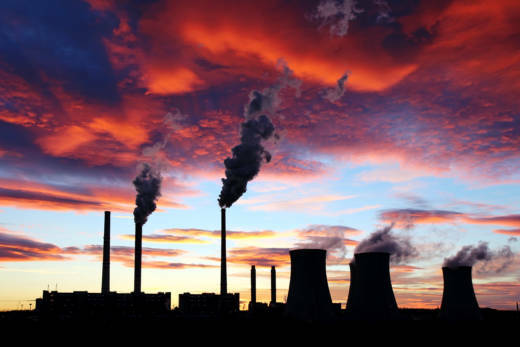 We're already in very unnatural territory with respect to carbon dioxide." The unabated rise will have major consequences for people and organisms, says Keeling. Sea level rise, heat waves and rainfall patterns will all be impacted. "Species will go extinct and areas will be flooded. A lot will happen," he says. The reason for the rapid rise in CO2 is almost entirely based on the burning of fossil fuels, according to Keeling. One Keeling graph that tracks the rise of CO2 going back 10,000 years shows a sudden uptick around the 18th century, when global industrialization was underway. "From 1700 to the present , you see the curve start to rise. Around that period, people relied on coal and the world was industrializing." Keeling says the fight to save the planet will rest mainly on the growth of renewables. "The curve symbolizes humanity's waste dump," says Keeling. "I'm hopeful in the next 10 years or so, it begins to bend over and it becomes the curve of hope, not danger. We haven't reached that point yet."